I couldn’t help myself. I bought games in February. I have so many games to play that I know I shouldn’t, but then I always do anyways. My current backlog is at 338 unbeat games, 284 of which are unplayed. 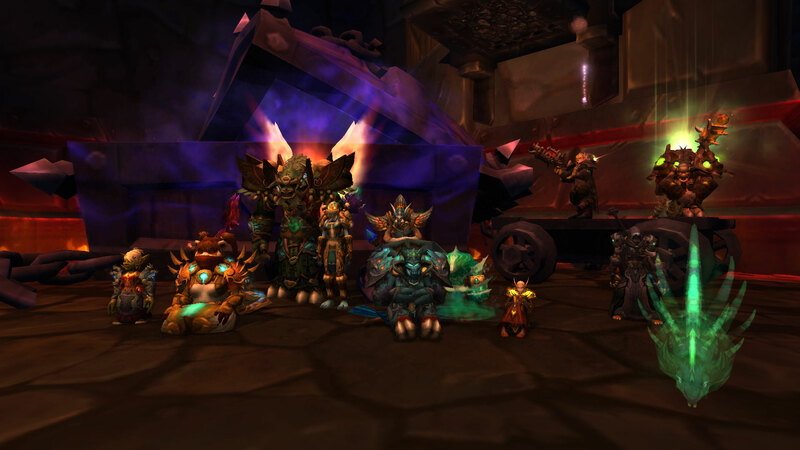 I don’t like to talk about WoW too much here since I have a separate blog for it, but we did manage to defeat the Paragons of the Klaxxi last month, putting us at the final boss of the expansion. In Cataclysm content, I got through Silverpine Forest on my warlock. I’m not sure if you count this as playing, but Twitch Plays Pokemon did take up a decent portion of my gaming time in February! If you’re unfamiliar, you really missed out. 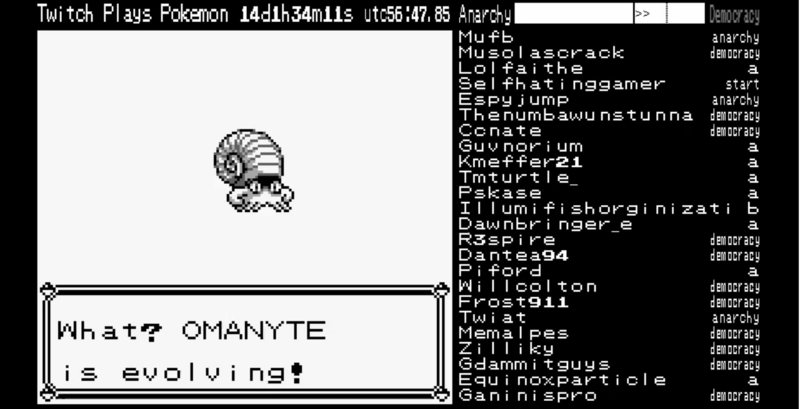 Basically, it’s Pokemon Red, but the emulator’s inputs were tied to chat inputs over Twitch. Effectively, everyone was in control at the same time. In the screenshot, you’ll notice people saying “anarchy” and “democracy.” If enough people vote for democracy, it changed into a mode during which it only took input periodically based on what was the most common. It was used to get through puzzles, but usually the game was in anarchy mode. Anyways, it was incredibly fun to watch, and the lore and content that was created by fans along with the game are what really made it amazing. 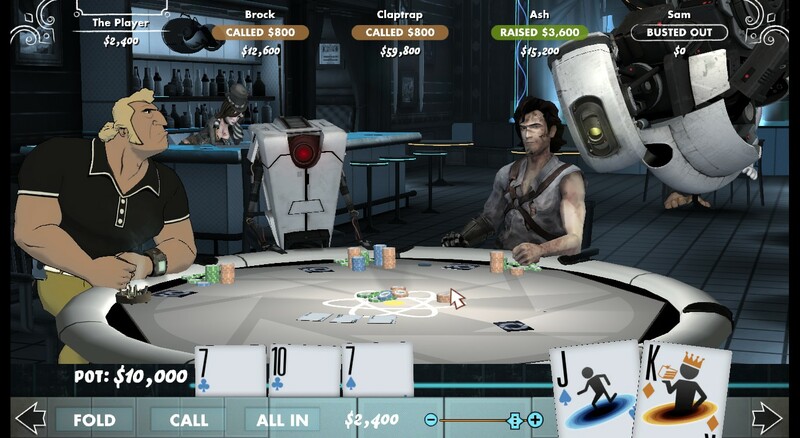 I continued playing Poker Night 2 last month, really getting into the swing of things. I unlocked everything and got every achievement save one – the achievement for having a net $1,000,000. I’m not sure if I’m going to get that or not. I marked this game as beat. I purchased this Adult Swim iPhone game at my friend Joe’s suggestion and have been enjoying it. It’s a defense title in which you set traps to stop heroes from rescuing the princess in your tower. It has three level packs, and I’m in the last one. Here’s another Adult Swim iOS game that I purchased in February. I loved MAMC, and the Super version is similar. Instead of going as long as you can, there’s a time limit. The other big change is that there are power-ups you purchase for coins, and you can buy coins as IAPs. Unfortunately, I don’t like it as much. I feel like I’m not going to get a highscore without the good power-ups, but if I don’t have the coins, I have to grind. This one’s free, so while it’s a new game I started playing, at least I didn’t have to spend money on it. It’s just doing trivia against random people or your friends in a variety of categories. 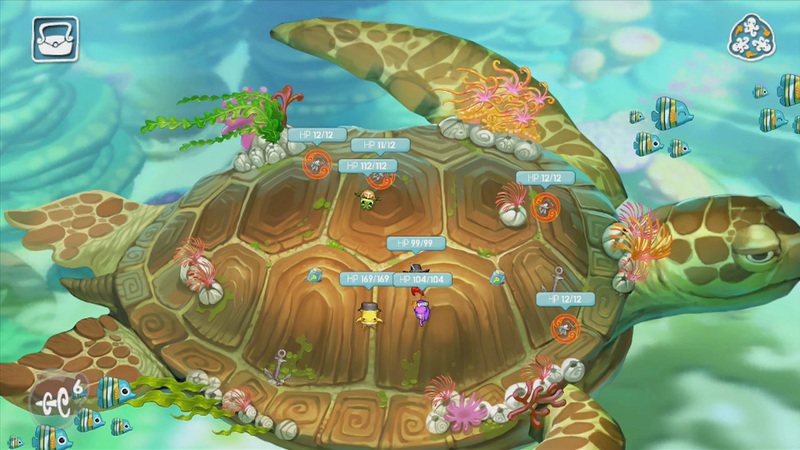 The game tracks your win rate versus each person, and you can level up by playing. It’s pretty great, especially because there’s a huge amount of categories. I marked this game as beat. I have no idea why I’m still playing this. Someone stop me. I continued playing this just a tad. I got stuck on a puzzle, so I had to skip it. I feel terrible. Wii Fit saw a little bit of use but not as much as January. This is still a fantastic game, and it’s a great way to fill a little bit of time. I’m still playing this one too in my free time. I’m in the second case. AVSEQ is an interesting game that I decided to try from my backlog. 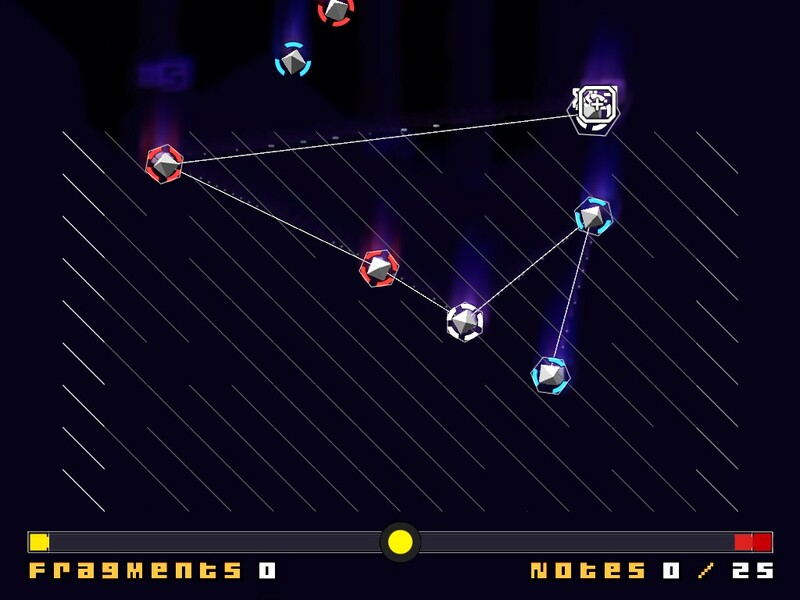 It combines music with gameplay, but the game itself basically consists of chaining together atoms of a particular color. Connect all the red, detonate them, then connect all the blue, etc. It looked fun, and I enjoyed trying it, but after playing it the one time, I’m done. I was near the end of the volume as February started and quickly beat it. Good stuff! I’ll probably move on to volume 3 in the future when I have less things on my plate. Here’s another game that I played a little but not much. I’d like to play more. It’s fun with my friends, but they play on Friday nights, and I’d rather go out if I can. pid is some sort of platformer that looks cute on Steam. I picked it up because it was, for some reason, free, but I haven’t played it. I found this in my Steam library. What is it? No idea. I have no memory of picking it up, and it wasn’t in my backlog. I thought it might be time to recap what I’ve been playing. 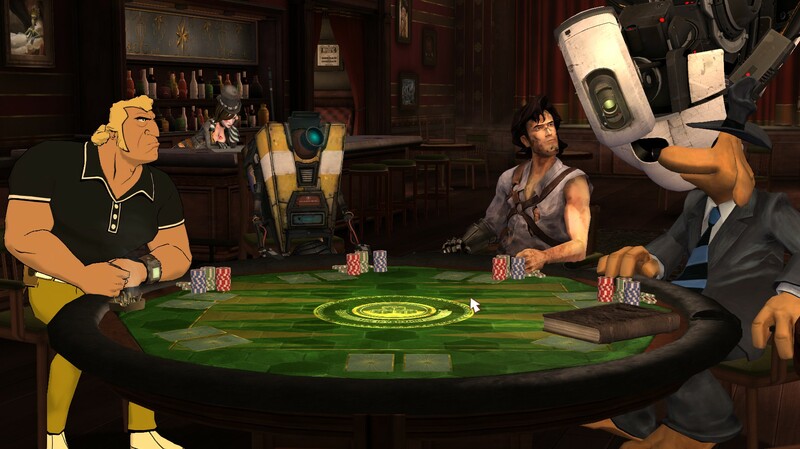 As I mentioned in my last post, I began playing a lot of Poker Night 2. I found it a lot more difficult than Poker Night at the Inventory but still just as fun. Surprise, surprise. I’ve also been playing more World of Warcraft: Mists of Pandaria in Patch 5.4: Siege of Orgrimmar. I won’t go into too many details since I blog in depth about WoW at Kor’kron 501st, but I did make some good progression. I got some pets, hit exalted with the Brood of Nozdormu, finished the introduction zone on my Forsaken warlock, earned Glory of the Hero, obtained the Twilight Drake from OS 3D 25-man, and began running older content with a new WoW buddy. As for raiding, I killed Garrosh in flex and in normal saw a lot of progression – Kor’kron Dark Shaman, General Nazgrim, Malkorok, Spoils of Pandaria, and Thok the Bloodthirsty! 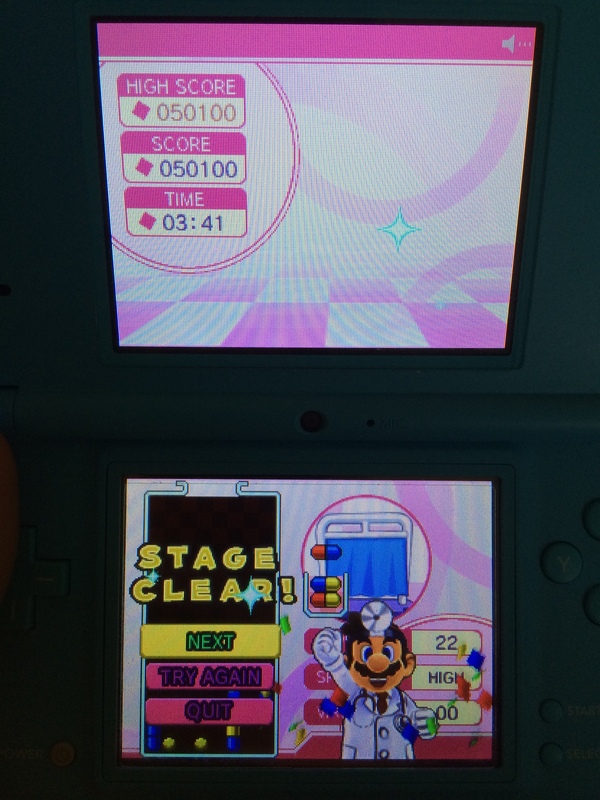 I’ve been spending a couple minutes with Dr. Mario Express almost every night and set a high score. I can’t explain why Star Wars: Tiny Death Star is so fun, but it is. This screenshot is outdated as well. In January I finished all the non-Imperial floors and got a lot more bitizens. I’m sure I’ll be done with all the floors this month. 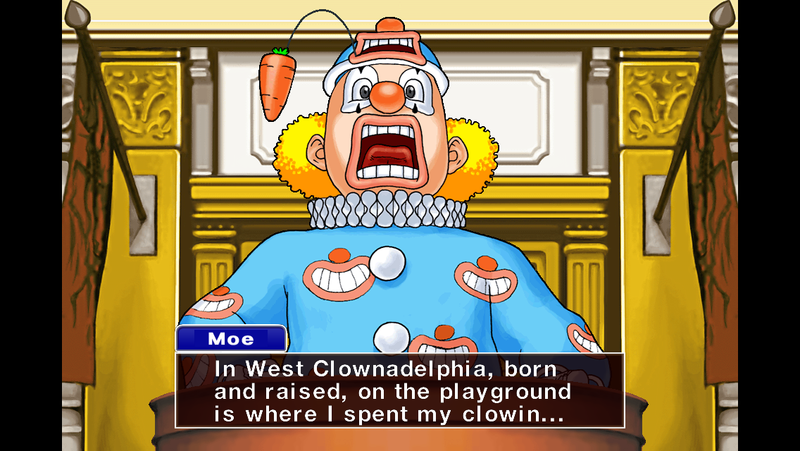 For a series I really loved, I was bad at playing the Phoenix Wright games. 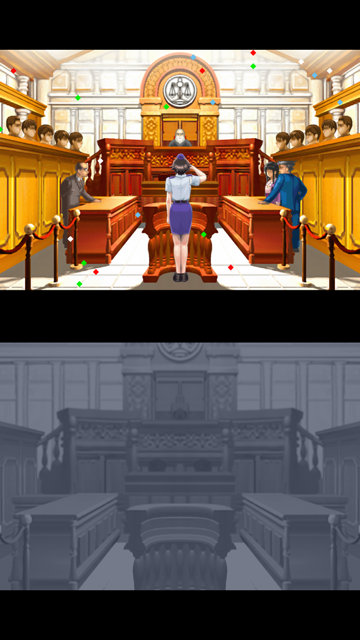 January saw me finish the first case of Justice for All in the Phoenix Wright Trilogy for iOS. 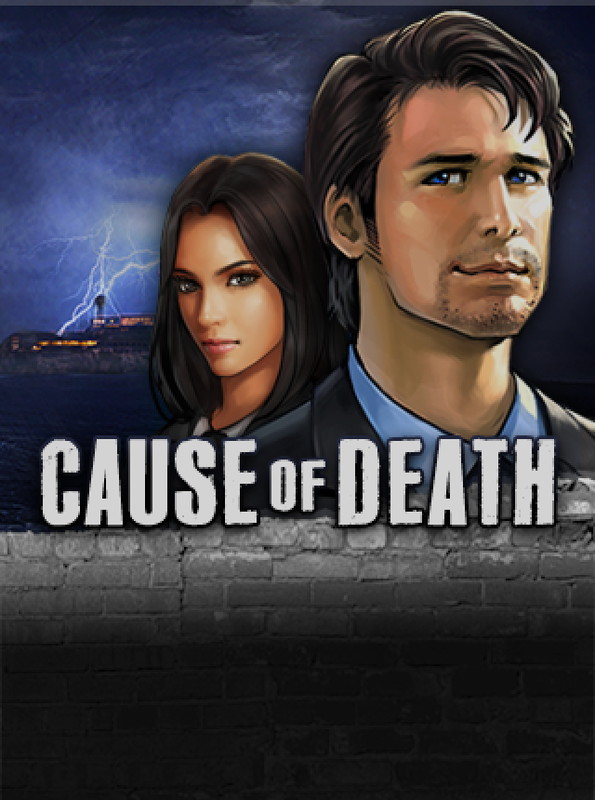 Cause of Death is a super exciting visual novel about a detective and FBI agent. I continued playing Volume 2 in January. I own five volumes, so I should get on that. This screenshot is dated, but I’ve also played a little bit of World of Tanks. 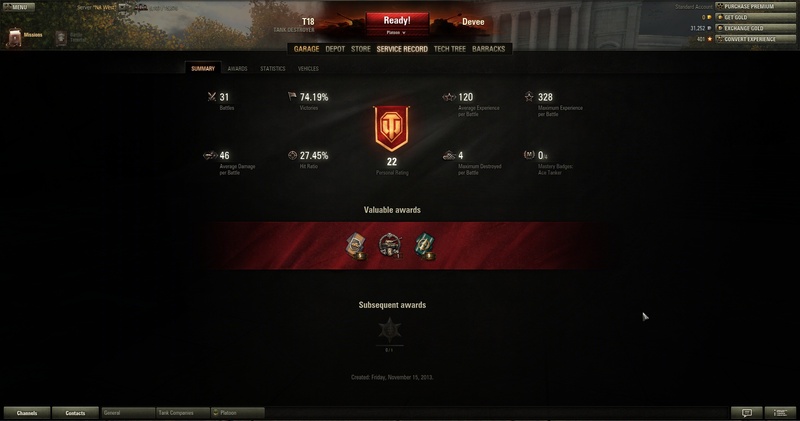 My highest tank is a tier VI, the TOG II, which is a gold tank. I’ve been working on the US tank destroyer line, and my highest is the M10 Wolverine, a tier V.
And then there was some crap. I tried Tanktastic on iOS, which is basically a World of Tanks clone. It was terrible. I also tried Tiny Tower. 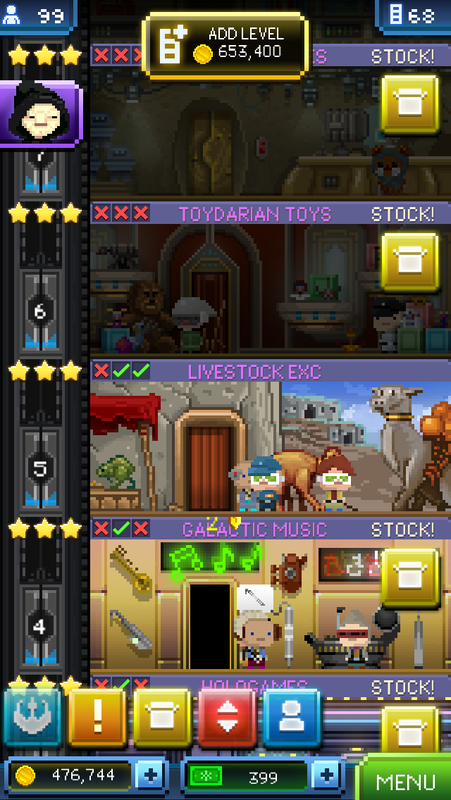 It should be great if I love Tiny Death Star, right? Wrong. Boring.